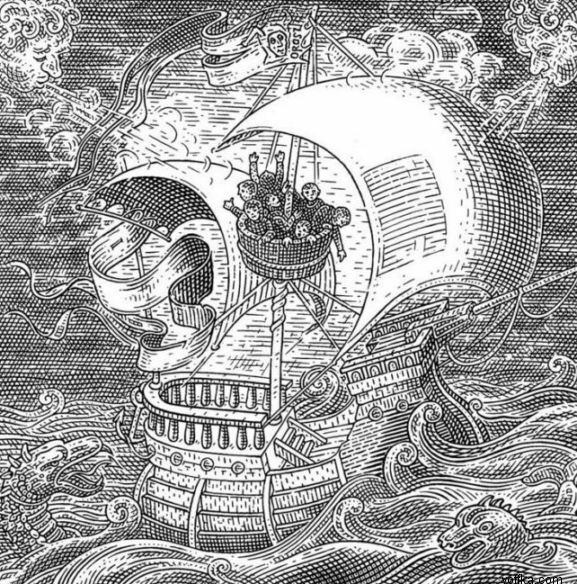 I was going to bump one of the old optical illusion threads, but many of the links and images in those are no longer available, so here's a fresh thread. Right? Even when I close one eye and trace the circles with my mouse I'm still like, damn. 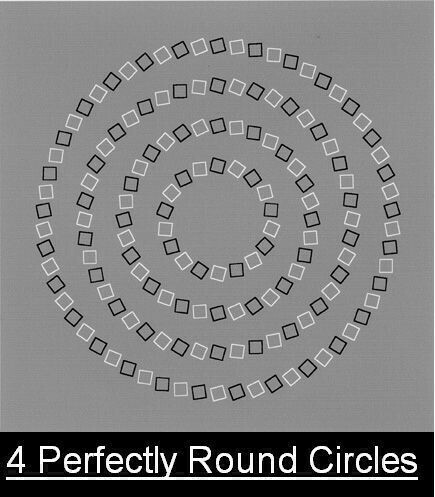 I thought it was a spiral until I left my mouse at a point on each circle and followed each one around until I got to my mouse arrow again. If I stare directly at the center of the picture it stops looking as though I'm moving down the corridor (but the peripheral is still sort of wavy). 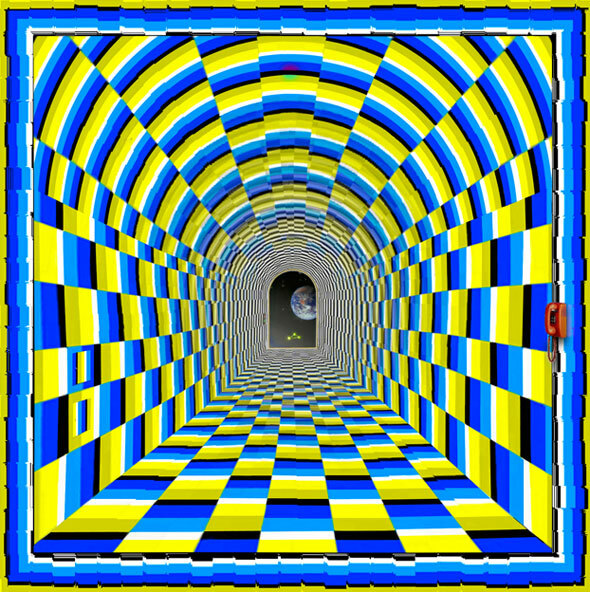 But if you sort of swirl your gaze around the picture it just keeps 'moving down the corridor'. 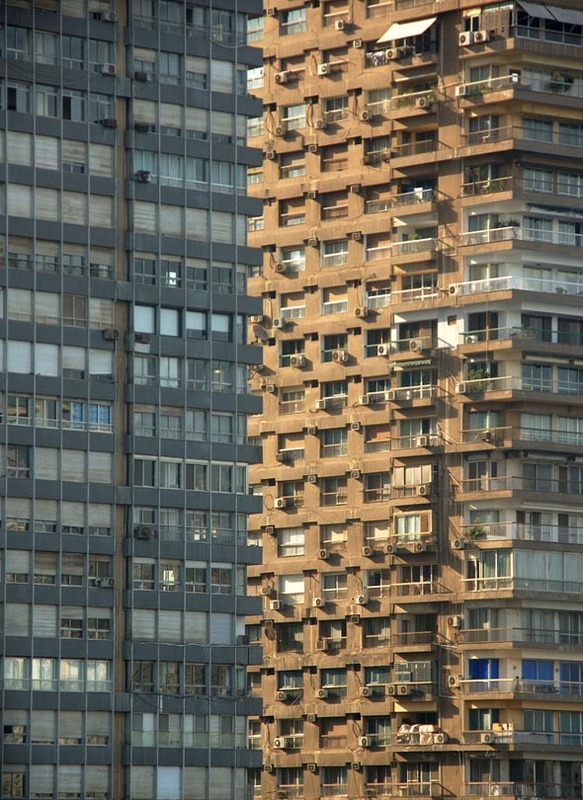 Photo of some buildings in Egypt. It's not immediately obvious which building is closest to the camera, though you can work it out with a little study. I watched Nova ScienceNOW - How Does the Brain Work? a couple nights ago. It's hosted by Neil Degrasse Tyson and explains a fair amount about how optical illusions work. It even covers the McGurk Effect and Change Blindness which I first learned about in Clutch's article. I don't think this voyage will end well. What voyage? All I see is a skull. Animated gif that lets you "see" your blind spot. Close or cover your left eye. Keep your right eye focussed on the small spot. You may have to move your head closer to the screen depending on the size of your monitor. You probably need your head about a foot away or so, with a regular sized monitor. You should 'see' the big spot (in your peripheral vision) disappear and reappear as it moves past your eye's blind spot. If the spot doesn't disappear at all move your head closer. If the spot only disappears at its extreme right hand position, again move closer. You really want to "see" it disappear about three quarters of the way across - and then reappear as it moves even further from your focus point. Smiley version of above, without needing an animated gif. The "squares" on this chequerboard are not quite square but they're all the same shape and size* and are laid out on a perfectly regular grid. * including rotations and reflections - and actually the white ones at the outer edge of the image are slightly larger in area - they should really have little notches cut out of them on the outside edges. Did someone put LSD in my water supply? Better than having LDS in your water supply.